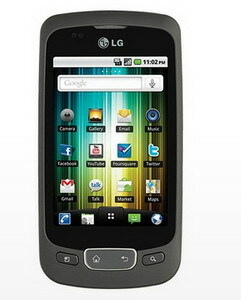 Three UK has announced that LG Optimus One will be available soon and if you get it before the end of the year you will get a complementary car mount and charger for free. As you probably already know, the LG Optimus One boasts Android 2.2 Froyo OS, 600 MHz processor, a 3.2-inch HVGA (320×480) capacitive touchscreen display, 170 MB internal memory, DivX/XviD playback support, 3MP camera, 7.2Mbps HSDPA, WiFi, Bluetooth 2.1, GPS, microSD cards, and a 1500mAh battery. As for the size, the handset measures 113.5x59x13.3 mm and weighs 129 grams. 0 comments on "LG Optimus One coming to 3 UK with free car mount and charger"